Over the past few years I have had subscribers ask about security/safety/crime here in the Bay Islands in that the country itself has received such bad reports regarding such. Individually, I have responded to people in emails regarding my personal feelings but at some point I end up where I need to decide if I am sending out a real estate update or if I become a ‘reporter’ of sorts, which is an entirely different profession and skill set. A skill set I do not have, I know; I have a writer in the family. In that people certainly have the right to know and this is ‘home’ for me, I decided to spend a little time and effort and send it out ‘en-mass’ to my subscriber list in this issue my take on the situation, therefore putting the subject to rest to a degree. This year a crew member of a cruise ship was murdered on Roatan and that combined with the mainland of the country being used by cartels as part of the drug pipeline to the U.S., plus the current immigration crisis on the U.S. border all together add up to bad press for the country of Honduras. There is no doubt that the Honduran major city gang & drug violence has all seemed to pique interest about the safety & security in the Bay Islands, with travel warnings from the U.S. Embassy earlier this year. That said, painting the entire country with a broad brush really is not wise, nor correct. What I mean by that is this; in the City of Chicago this year there has been a lot of news regarding murders and gun violence. Over the fourth of July weekend there were 53 shootings from guns; multiple deaths happen every week there. Ongoing there are multiple deaths there from gang violence and drugs. A war zone. Now reading this most would think WOW, I sure do not want to go to Chicago. Well that would not be a correct assumption in that the violence is mainly on the south and west sides of that city. Overall Chicago is a great city. I was born and raised there but the logic that somehow the gang and drug warfare going on there means that one should not visit there, or not visit Illinois or in the extreme not visit the U.S.? That is just silly. Just as silly as someone saying they cannot or would not visit the Bay Islands due to statistics generated in distant cities on the mainland. I am a ‘facts & figures’ sort of guy so that basically is where this Newsletter is going. In the Bay Islands there are +/- 115,000 people, (Roatan, Guanaja, Utila). I have generated the stats with the help of others. 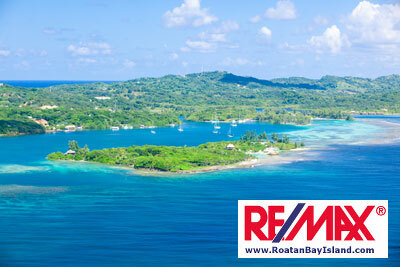 The original research on Roatan was done by Ilias Scott, a Managing parter at Clarion/Pineapple Villas on Roatan. He received his information from his research and the Mayors of the two Municipalities on Roatan. I obtained the information on Utila and Guanaja separately. 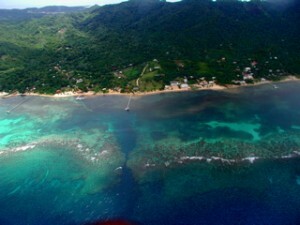 In the past 12 months there were 18 murders on Roatan, one foreigner, (the cruise ship employee) and 17 Honduran citizens. On Guanaja there was one murder (a local young man killed his father for beating his mother), and there was one that I am attributing to Utila, though it actually happened on the way to Utila on a boat to Utilia, but statistically it needs to go somewhere. What you are looking at is 17 to 18 murders per 100,000 people. Of that 17 to 18 you are looking at ONE foreigner. The one killed the perp was apprehended in a very short time, sentenced and is now in jail. For the majority of readers on this list, mostly made up of foreigners, that would mean to you that foreigner’s murder rate is ONE in 100,000. What is the murder rate where you live? Look it up, I will bet it is far higher than ONE. I do not mean to point fingers here but the fact of the matter is crime rates in areas over the years in the U.S. are far worse than here in the Bay Islands. Washington DC has hit 71.9 murders per 100,000 and New Orleans up to 94.7 murders per 100,000 historically. Other crime? Are you aware that in the western hemisphere Phoenix, AZ is the kidnap capital of the United States, second only to Mexico City in the Western Hemisphere? 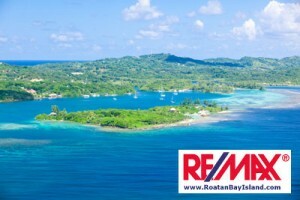 Here are other destinations in the Caribbean region with murder rates higher than the U.S. (and the Bay Islands), ………….Are you considering Roatan as a place to vacation, invest or retire? Take a look at the list below and note that some of the most popular spots people are considering are also places some international companies are heavily marketing. Some of these destinations marketing companies, sell tours, provide information websites and newsletters from who you may get as many as a couple emails a day from asking you to signup for seminars, tours, booklets, information, etc. U.S. Territories like U.S. Virgin Islands & Puerto Rico, have higher murder rates as do Belize, Panama & the Bahamas than the Bay Islands. You may discover that these little Bay Islands are just the spot for you. My wife Nancy & I have been here for 15 years. On staff we really have longevity! Edi for 18 years, Bob for 13 years, Mark and Julie on Utila for 12 years each and Wendy who has over 10 years as a real estate pro and Jorge were born here. Our lives are here, we live, work and worship here. The Bay Islands is our home and we like it. We take offense to people who try to scream ‘the sky is falling’ regarding crime/security here in the Bay Islands. Are the Bay Islands ‘crime free’, a care free, utopia? No, nowhere is, that I know of, but I do know that we feel safe and secure here. Ok folks, that is my take on crime. First the ‘Market View’- The number of sales (quantity of closings), YTD (’13 vs. ’14), is up 21.4% and the average sale price is up 4.6%. This includes ALL sales, (meaning land, condos, homes, development, commercial). Please understand that this is a VERY small market and numbers here may fluctuate based a few sales, or at least can fluctuate. Also that the ‘real estate bubble’ of ’09 lowered prices here substantially creating a market open to far more budgets in North America, (the U.S. & Canada). I personally feel that if the U.S. ever gets it together this market will explode once again. The Bay Islands just has too much going for it not to. Now to what I really do. Here are some great deals on real estate for your consideration. Are you seriously looking or a serious buyer? If yes, you really should take some time to read this link of FAQ’s. You should have knowledge of the process and this will answer many of your questions. Lastly I would like to inform you that we have two new RE/MAX Agents on board here in the Bay Islands – Edi Johnson, (formally of Century 21), who has been selling on Roatan since 1995 and Julie Shigetomi who was an Independent Agent on Utila for several years. 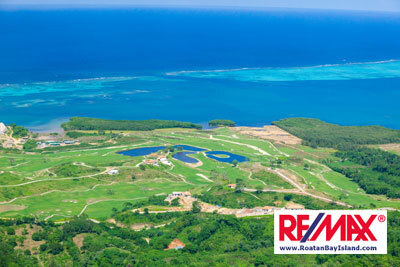 We welcome them to our RE/MAX family here in the Bay Islands. This year, the month of August will count 5 Fridays, 5 Saturdays and 5 Sundays. This phenomenon occurs only once every 823 years. The last time this happened was in 1191 and next time will be in 2837!! Thanks for reading. As you know we are here for you and we will advise, educate and assist in any way we can.